Putin has arguably been living a fairytale since the beginning of November. One by one his most adamant opponents are falling like dominos. Hillary Clinton will never enter the White House to continue a foreign policy line which portrayed him as the main threat to global stability. Theresa May is entangled in post-Brexit negotiations, muting her criticisms of Moscow. Francois Hollande hopes for reelection are melting by the day as pollsters predict a second round between Francois Fillon and Marine Le Pen, two of the strongest Putin supporters in France. Even NATO, the very military organization created to contain Moscow, has been disavowed by some of its members’ leaders: Trump and Erdogan. As a result, Putin was able to step up his assertiveness both domestically and in conflicts it is involved in. From a Russian perspective, the rapport de force on the Syrian exchequer has drastically improved. ISIS capacities have been reduced as its fighters are circumvented in Mosul and Raqqa under the siege of a coalition army indirectly serving Moscow’s interests. In parallel, the political transition in the United States and upcoming elections throughout Europe have considerably weakened the already limited international support to the Syrian rebellion and the political survival of Bashar al-Assad is now strengthened. In a few weeks, Putin has managed to place himself at the very center of global diplomacy without efforts. The choices made by Trump to constitute his cabinet have been in line with his focus on cooperation with Russia as a cornerstone of his foreign policy. General Flynn, Donald Trump’s pick to be national security adviser, is a fervent supporter of an alignment with Moscow. Francois Fillon, the now likely next French president, has regularly stated that one of his main objectives would be the end of “Islamic authoritarianism” with the establishment of an international coalition gathering as many partners as possible, democratic or not, thus opening the gate towards cooperation with Assad and Putin. Russian influence in Europe was further reinforced by the two national elections held earlier this month on the continent. Both in Bulgaria and Moldova, the pro-Russian candidates won democratic ballots as the Kremlin benefitted from European democratic values to beat the EU at its own game. Meanwhile, the National Front of Marine Le Pen is seen by observers as an example of Moscow’s regional interference as the extreme right party is financially maintained by Russian banks and rewarded for its Pro-Russian positions in Ukraine. The Kremlin has contributed to a network of nationalistic parties throughout the European Union whose spearhead has been so far Viktor Orban in Hungary. The electoral success of those movements, as the EU struggles to develop an ambitious economic policy and citizens are disappointed by its technocratic nature, has allowed Russia to increase its political influence among its neighbors. This soft power strategy is likely doubled by cyberattacks accorded by most to Russia such as the revealing of emails by hackers during the American presidential campaign. If this cyber activity has the merit to increase the transparency of public affairs, it can raise eyebrows if piloted by foreign powers for geopolitical gains. If the European Union is notoriously vulnerable to cyber-attacks, it is also incapable of preventing the drift towards authoritarianism among its members. November has also seen Putin reinforce his control inside Russia as Alexeï Oulioukaïev, the Russian minister for economic development, was arrested on charges of corruption on November 16. Oulioukaiev, an apparatchik originally form the liberal sphere of influence of the Yeltsin years and later converted to the Putin circles, was taken into custody in front of cameras after a swift and questionable investigation on corruption charges out of his area of direct control. According to Andreï Kolesnikov, of the Carnegie Institute in Moscow, the objective is to keep any politician on his toes worried of a potential purge ahead of the 2018 elections. 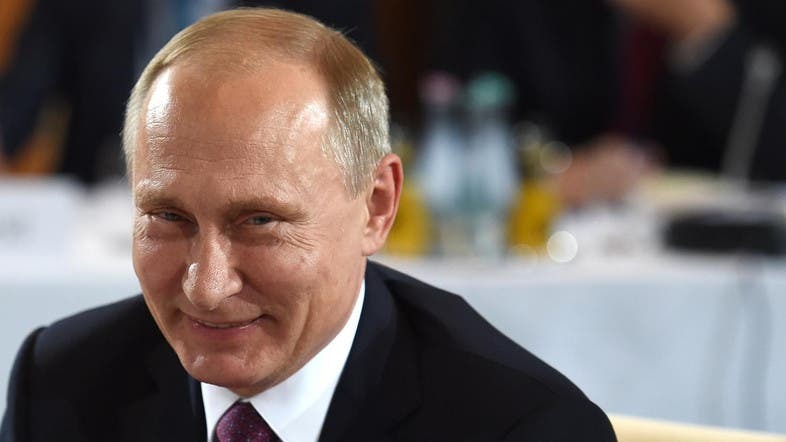 While Putin increased tremendously his influence over American and European affairs in November, the last remaining rampart is Angela Merkel who announced her candidacy to a fourth term on November 20 with an “antipopulist” platform. In her speech, she explained that she wanted to defend the European values of “democracy, freedom and respect of all, whatever their origin, skin color, religion, gender, sexual orientation or political beliefs” - a clear denunciation of the position defended by Russian financed extreme right and xenophobic parties. In a new world where the likes of Obama, Hollande and Cameron are being replaced by Trump, Fillon and May, her task will be more than challenging. The vibrant tribute paid by Barack Obama to the German chancellor during his last visit to Europe last week, describing Merkel as an extraordinary partner and leader, was noted but in case she is reelected, she will be much more isolated than before.